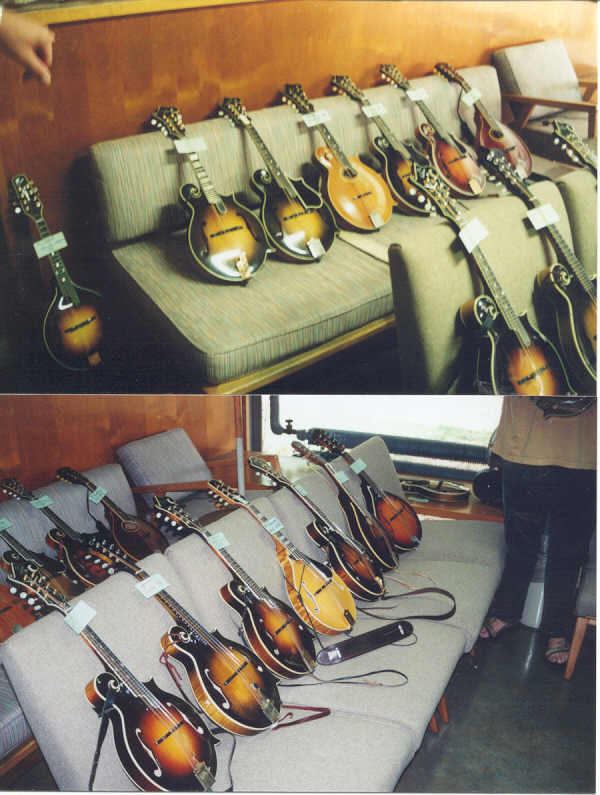 Welcome to my Sound of the Mandolin web page. "T" style stereo mike. They were recorded June 5th and June 6, 1999, in the vestibule of the Fine Arts building on Maryville college. There is a little hiss in the background. That is not tape hiss, it is the fans that were running to cool the room down. And the second half Can you match them up? Remember that louder doesn't always mean better. It is the quality of the sound as well as the volume. 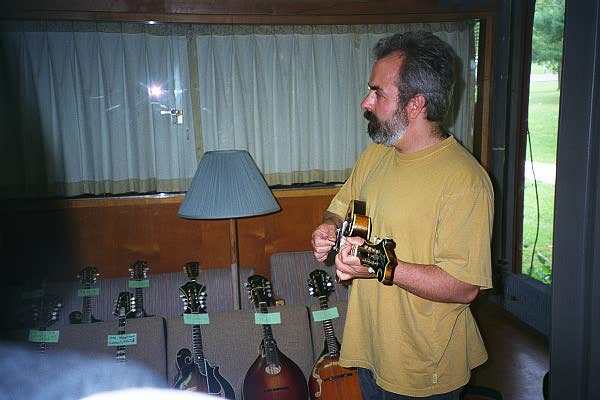 More Mando Kamp Pictures, sign the guest book please.